Recently we added a few new instruments to choose from when you are browsing our royalty-free music / stock music catalogue based on Prominent Instrument (e.g. you click on the blue “Prominent Instruments” button on the right-hand side over our site, or choose instrument from the Advanced Browse panel). One of the instruments we added was the Hang Drum. This is a very unique and nice sounding instrument which has got a lot of new fans over the past year or so. It is a melodic / pitched percussion instrument with a really beautiful and interesting tone. 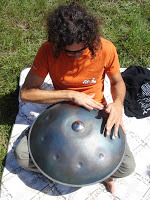 Despite the instrument having a very “earthy”, almost exotic, ethnic tone, it is actually a Swiss invention. It has a really natural, ancient sounding timbre which makes us think of ancient cultures, rainforests, African landscapes, South American / Inca / Maya ancient civilizations etc. This instrument sound wonderful in Ethnic / World type music, especially if you are trying to create an earthy / natural / tribal tone but without connecting the sound to any particular country or region. 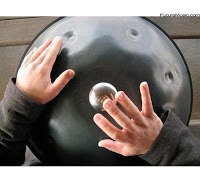 As the time of writing this, we have 9 tracks of Royalty-Free Hang Drum music, featuring prominent use of the Hang Drum, including two tracks that are available in pure, solo, Hang Drum versions without any other instruments. I’m sure more tracks will come over the coming months and years, as more of our producers discover the versatile and beautiful sound of this instrument.